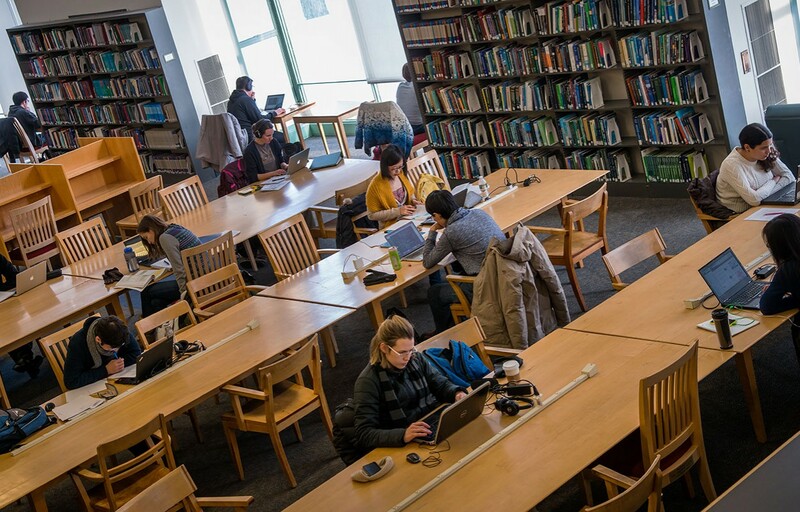 The MIT Libraries’ Department of Scholarly Communications & Collections Strategy (SCCS) supports MIT faculty and researchers who have questions about their options and rights in the world of scholarly publishing, which has evolved dramatically with the advent of the digital age. The team supports a collaborative process being engaged in by the entire academic community to realize the full potential of technology to increase the reach and impact of research. We are guided by the values, principles, and aims expressed in the MIT Faculty Open Access Policy and the Institute-Wide Task Force on the Future of Libraries. More broadly, SCCS unites the aims of transforming scholarly communications for the digital age with innovative and sustainable stewardship of the MIT Libraries’ collections budget. SCCS makes collections decisions informed by strategy and values that explicitly incorporate transforming the processes of creating, disseminating, collecting, storing, managing, and preserving research inputs and outputs — often referred to with the shorthand “scholarly communications” — toward openness and increased access. The group takes the values of open access, diversity, and social justice as a lens for framing collections decisions, and as important guideposts for navigating and favorably shaping the scholarly communications landscape. Some of the supports we offer for more open access in publication are summarized on this web site. As a collection strategist, Michelle oversees the building, shaping, and presenting of collections for the Libraries in support of the MIT community, and the values of MIT and the MIT Libraries.Michelle’s role includes a focus on curating our print collections. She can answer questions about digital and print collections in her discipline areas, and about our print collections across all subject areas. Katharine supports faculty, researchers, and students working with the MIT’s open access policies and research funder requirements and is our lead contact for use of our open access publication fund. She can answer questions related to open access, our open access publication fund, copyright, author agreements, and publishing, or can refer you to other experts. She’s the main voice of the office’s Twitter account, @MITLibScholarly and writes the Open Access Research in the News series of stories. Debbie has a depth of experience with collecting articles under the MIT Faculty Open Access Policy and can answer questions about depositing papers under the Policy, or opting out of the Policy for an article. Ellen works with the SCCS team to support MIT faculty and researchers in relation to copyright and publication agreements. She and her team can answer questions about author options and rights, including working with the MIT Faculty Open Access Policy and complying with research funder requirements such as the NIH Public Access Policy and other federal public access plans, as well as general questions on copyright and fair use. Ellen can also answer general questions about the department and its aims. Laura joins the SCCS team in December 2016. In her role, she will be participating in license negotiation, supporting systems for making articles available under the MIT Faculty Open Access Policy, and providing outreach to our community related to scholarly publishing and copyright. She can answer questions related to open access, copyright, author agreements, and scholarly publishing, or can refer you to other experts. As a collection Strategist, Deborah oversees the building, shaping, and presenting of collections for the Libraries in support of the MIT community, and the values of MIT and the MIT Libraries. Deborah provides analysis and assessment of the Libraries’ collections. She can answer questions about collections in social sciences and management, and about collections assessment practices, including usage data. As a collection Strategist, Mikki oversees the building, shaping, and presenting of collections for the Libraries in support of the MIT community, and the values of MIT and the MIT Libraries. In particular, Mikki supports collections in MIT’s open access campus repository, DSpace@MIT, and works to make MIT’s theses and other publications as openly accessible as possible, including through digitization. She can answer questions about what materials are appropriate for DSpace@MIT and how to deposit materials there. As a collection Strategist, Michael oversees the building, shaping, and presenting of collections for the Libraries in support of the MIT community, and the values of MIT and the MIT Libraries. Michael can answer questions about digital and print collections in his subject areas, and collections and scholarly publishing in the Sciences and Engineering more broadly. His role includes a focus on our map collections. Katie negotiates the terms of licenses for ejournals and databases and other materials so that this content can be made available on the MIT network under terms for access and use that meet MIT’s needs. She can answer questions related to license agreements, copyright, author agreements, and open access, or can refer you to other experts. She is our main point of contact for questions about the copyright and licensing aspects of text and data mining. Text is licensed under Creative Commons, unless otherwise noted. All other media is all rights reserved unless otherwise noted.